Last night I experienced the power of community. Three beautiful friends came to help and we got so much done! With a few extra hands we were able to get loads of painting and cleaning done. The upstairs where Zoe, Owen and I are going to be living is bright and colourful. Thank you Ann, Juanita and last and certainly not least Luc Andre!!!! You rock and I really appreciate the help, thank you. I am back there tonight for more work as there is still lots to be done. Have a great day. I was just at the house. We are finished painting the kitchen save for the trim, now it needs a very, very good scrubbing. The yoga and dance room is half painted a beautiful rocket red and soon a nice green will accompany it. It is going to be such a beautiful space. We have so much to do in such little time. Come and have a look, say hi, see how things are going. I will offer anybody who is inclined to help a Klean Kanteen and felting workshop. Tonight a friend came to help paint and it was fun. We chatted as we worked. I find meaning in working together with others toward a common goal. Naomi was painting as well. It is such a pleasure getting to know her. She is such a beautiful person. I am truly blessed. It is amazing how life seems to guide me in the right direction. At the moment we are creating our space. This space will host events that bring people together to gather and celebrate. Come one come all! We are currently painting this room sky rocket red. Arriving onto my first floor. Last week I sent an e-mail asking people if they had any boxes, ask and you shall receive. I got loads of boxes and still friends are dropping by with great boxes. I truly feel blessed with great friends. This week, we are painting and cleaning the new place. If you feel inspired to come and help come on down! You will find us at 77 Anderson Street. Cheers! I am having so much fun reading contracts and making business plans. 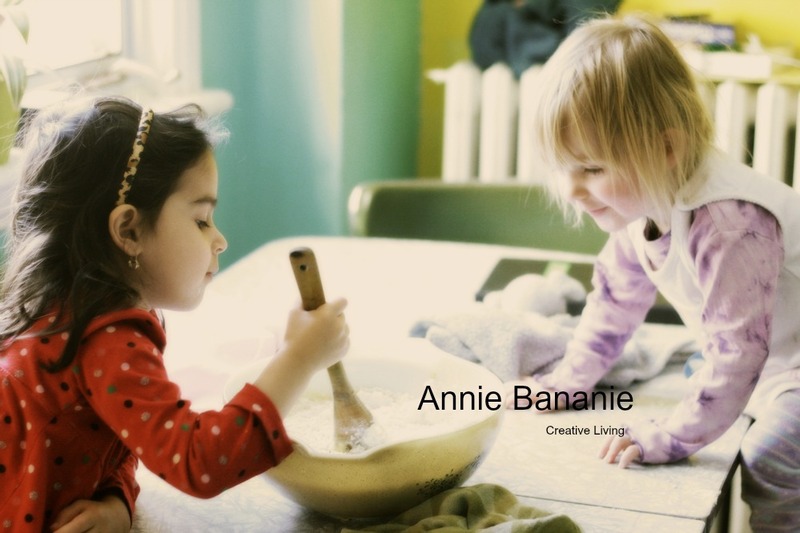 Meet Naomi in the blue hat, Sarah in the middle and the other smiling face, me Annie Bananie. We gathered today and things are manifesting. Our ideas are floating in the ethers and in the coming weeks we will be bringing them down to earthly reality. I cannot express how blessed I feel to be working with such open minded, spiritual women. Some of you may know that opening a center has been a dream of mine since Zoe was born. In my life experience I am learning that when things are meant to be the universe works with you to co-create what is meant to be. Yesterday we went for a walk in our new hood and still loving it! Apparently the students who were living there have moved out so we can start cleaning and painting! Yeah! While we were in the hood we stopped at Plant Bath which is just a hope and skip and a jump away. We spent our long weekend camping in a flower field at an organic farm. This family run farm is in the bush near Westport, Ontario. We had so much fun we didn't want to leave and promised to return in the near future. The grass was overgrown and sometimes higher than me. The children played in the great outdoors all day! No toys only animals, dirt and fresh air. We helped prepare beds of soil for planting lettuce. My greatest joy was seeing the children break away from their play to come and help the adults. Their help was self initiated with no need for parental coaxing. They were intrigued and wanted to be part of the work. Feeding the chickens was a fun chore. Zoe and Kiah loved going into the hen house to pick fresh eggs. Sunday morning we ran around the green house trying to catch 3 escaped pheasants. It was so much fun! We finally got them with nets which was the kids idea. A trampoline was a great attraction and fun for the adults too! A family of kittens had the children enamored. They cared for the little ones for hours. Their nurturing sides really came out. As soon they woke up in the morning off to the kitten house they would go. What I loved most about spending time at the farm is watching my children learn that food doesn't come from a package. I loved watching them care for animals and play with such joy in the fields. We definitely will be back soon.